Post-Rock-Noise-Pop?! Damn Right, it’s Fighting Kites! Now as you all know, Post-Rock is for the most part just Easy Listening for people over the age of 30. It is generally quite hard to get excited about anything instrumental since this hipster jazz came along…but we made it happen because we are the best at records. This is beauty and the beast, motherfuckers. 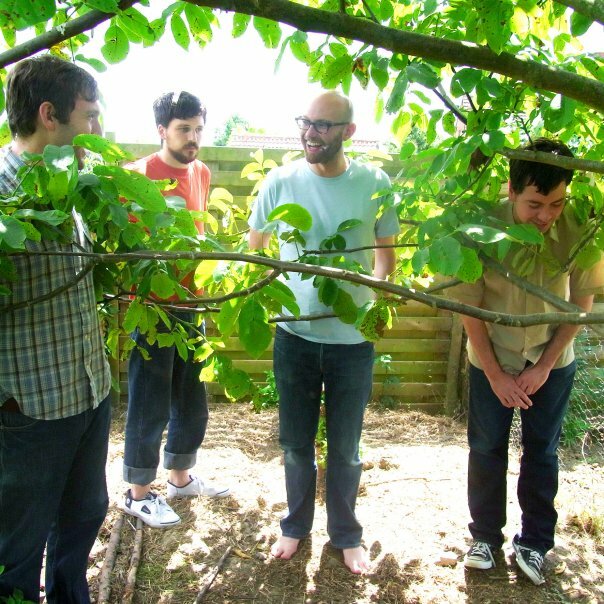 North London’s Fighting Kites formed in their definitive 4-piece line-up in 2009. Prior to landing on AAH for one glorious EP, their looping, layered, soulful art-rock waltzes had won them spots on bills with the likes of Male Bonding, Nisennenmondai, Shield Your Eyes and Nitkowski. The EP scored a ton of airplay from Gideon Coe at BBC 6 Music, a session on Resonance FM and a bunch of press/blog acclaim, they then issued a single LP with our buddies at Variant Records and then burned out. WOE. But we had some fun. What made Fighting Kites hard to define was the absence of that which generally characterised modern instrumental rock music, the “quiet-loud” dynamic, “epic soundscapes” and bloated dissonance. FK’s music simply has a unique, infectious and often overwhelming beauty. Scattered layers and torn melodies…they were our Dance Band, I always thought. Packing out the activity halls! I miss Fighting Kites, especially the ones who left the country.